Are you out of work? How long have you been looking? How long has your neighbor, friend, sister, whoever…been looking? Or are you worried that your current position is going away soon? Either way, it’s not good. Stress and anxiety are common ailments through this phase of life. And what’s worse is that if this isn’t your first round of unemployment, it more than likely won’t be your last. You’re probably thinking, “geez Chris, I sure wish you wouldn’t be such a downer.” Well, I’m not a downer. I’m actually a hopeless optimist; always a glass-is-half-full kind of guy. I have long preferred to see the good in a situation rather than the bad or negative. That’s just how I’m wired. But I’ve been where you are. I know it’s not fun. Actually, “fun” is a word that shouldn’t be anywhere near the situation. But believe me, there are better-paying positions, better bosses, and better opportunities out there. I know, I’ve found them. I’ve shared them. 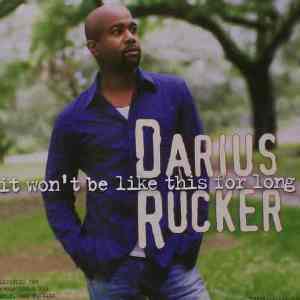 It’s important to realize that no matter what your current situation is “It Won’t Be Like This For Long.” I put it in quotes because I’m stealing the words from one of my all-time favorite artists: Darius Rucker. That’s my kind of music. I listened to that song on the way in to work this morning and I thought about things from his perspective in the song. Think about it, how many things last forever? With the singular exception of God’s love, nothing does. Periods of pain, discomfort, joy and happiness come and go. They do not go on without end. If you’re a parent, you know this well. You bring your new baby home and the next thing you know they start crawling. Then they say their first word. Then they start kindergarten. Wow, how did that happen? Next they’re getting their driver’s license. After that they graduate from H.S. Then college. Next they get married. And can you believe it? They’re now having a baby of their own. All that happened and all you did was turn around. It happens that fast. As I was listening to the song this morning, I realized how lucky I am. I recently came out of a job search with a new position. The job-search process was very cleansing. It was difficult but it also had its moments. Like what you might ask? First, the love and support of my amazing wife. I’ve had that for a wonderful 18 years. I do not take it for granted at all. But when hard times come – and they will always come – I am fortunate to have chosen my wife. It’s the best decision I have ever made. With any luck, your spouse is like mine. One that loves you truly and whole-heartedly. One that will support you through anything. If so, that’s more than half the ballgame right there. And if THEY’RE lucky, you love and support them every bit as much. That’s the way it needs to be if it’s not. Secondly, new friends. To say that being unemployed throws you out of your comfort zone is an understatement. Everything about being unemployed is uncomfortable – at least in the beginning. It gives you an opportunity to plug-in to new networking groups, volunteer opportunities and people. One of my favorite quotes is: when the student is ready, the teacher will appear. You might not know why you lost your job. But maybe it was for the singular purpose of meeting someone you would have never met otherwise. Maybe it was so you could connect with someone who can help you build your own business. Maybe it was to meet the one person who was going to tell you the one thing you needed to hear to change the trajectory of your life. Laugh or sneer if you want. I’ve seen it happen. It’s miraculous. In my recent job search, I met several people I now consider good friends. I hope as they read this, they know who they are and smile. We were sharing a painful yet cathartic experience. We were supporting and encouraging one another. I have learned so much from them. To this day, they are still encouraging me and I hope I’m still encouraging them. Next, new opportunities. When we are going about our life, going through the daily activities, things can have a tendency to sneak up on us. In my case, I didn’t realize the negative impact my job was having on my life. It happened slowly, day by day. It was such a slow process I didn’t see or feel it happening. It was only after I was gone that I realized how stressed I had become. I felt liberated. It was entirely freeing. I started networking even before I lost my job. I knew it was coming and had a few weeks to mentally prepare. I came across multiple opportunities and had many interviews. The opportunities took me from Chicago to San Francisco and Seattle. You might as well have a little fun creating possibilities for yourself while you’re uncomfortable. Open yourself up to look at all the opportunities and possibilities before reflexively saying “no”. Out of all the positions I interviewed for, only 2 paid less than what I had previously been making. Most paid considerably more. If I had still been at my previous job, I wouldn’t have even known about what else was out there. I would have still had my blinders on wondering what I was going to do with the rest of my career. Best of all, more family time. I was driving home from a networking meeting one morning and my wife called me. My in-laws were in town and my wife wanted to know if I wanted to join them at the zoo. It was a glorious day. The sun was out, it was about 70 degrees and I had my sunroof open listening to my favorite tunes on the radio. If I had been working, I would have missed that opportunity to be out and about with my family on such an awesome day. It also happened to be spring break so the kids were home all week. I got to see them a lot. Later in the week, I got to join my wife and kids on their annual trip to the bowling alley with my dad – their Grandpa. Years ago, my parents started the tradition of taking them bowling on spring break and my dad has continued the practice in the years since we lost mom. I can tell you this: it’s more fun to be sitting in a bowling alley at 2:00 o’clock in the afternoon with your family than sitting in a weekly meeting. Take it when you can get it. Appreciate what you have. Are there any other advantages you can think of while being unemployed? I would love to hear your thoughts. This entry was posted in Random Thoughts and tagged following your dreams, job hunt, Job hunting, job search, Motivation, recruiting, Relationships, Staying positive, what's important. ← Words are important; tone is critical. This is my second lay off in 38 years. The advantage it gave me was a timeout to reflect, reassess, and readjust my priorities. It gave me the advantage to really give thanks to God for all that he had given to me over the years and a vantage point to see where I could be more pleasing to Him in my daily activities. I can see myself in the next phase of my life of being more giving of my resources, time, and/or myself. From all the volunteerism I have seen over the last five months, I pale in comparison to the time others have put into a program to aid me in landing my next opportunity. Thanks for the opportunity to share. Nice post. Now I have to go find Darius Rucker and have a listen! You Tube is awesome. You will never be disappointed listening to him! While you’re there, you might as well listen to This, Alright and True Believers. Those are my favorites. Always good stuff Gus. Keep em coming!